IT transformation: New system architectures can be built to increase automation. However such structural changes will inevitably trigger changes in tools and take significant time and budget to complete. System upgrades especially those involving legacy systems require complex migrations and can take years. A Mckinsey and Oxford joint study on software project demonstrated that large IT projects run 45 percent over budget and 7 percent over time, while delivering 56 percent less value than predicted. 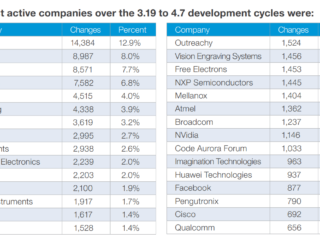 Given such grim statistics, large companies have moved away from delivering comprehensive redesigns of their architectures to implementing quick fixes that solve their immediate problems. Business Process Management Platforms (BPMS): BPMSs integrate enterprise applications to increase the amount of “straight-through processing” possible within a process. BPMS can achieve similar results to IT transformations and can be achieved more rapidly. However, their benefits can be limited based on the variety of enterprise applications that are used in the process. Business Process Outsourcing: Popular in the 90s, many companies in the developed world outsourced their operations to the developing world. Companies benefited from outsourcing through labor arbitrage and economies of scale of outsourcing providers. However, with the increased convergence of developed and developing economies, labor arbitrage is decreasing in importance. And with most manual processes already outsourced, corporate leaders have seen that silos formed as a result of outsourcing have reduced innovation and created silos. More fundamental changes are required to improve processes today. Flexibility: You can program an RPA bot to complete almost any repetitive task. Ease of integration: Thanks to screen scraping and existing integrations, bots can input and evaluate the output of almost all Windows applications. 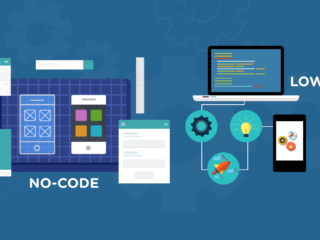 Ease of implementation: Macro recorders and drag&drop programming tools make it easy to program RPA solutions. Cost: Robots are cheaper than humans! Business process outsourcing solutions are no longer economical when those processes can be automated yielding better results and requiring less cost than outsourcing. 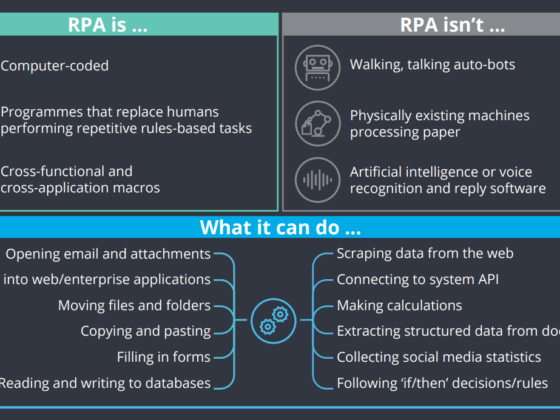 In many cases, RPA can provide robust, automated solutions. However, it is not always the optimal choice. Any of the above 3 choices can be used to manage or eliminate manual processes. If the alternatives have better ROI than an RPA implementation, companies would be wise to follow that route. These are also not mutually exclusive approaches. Companies can invest in transformational system upgrades that can take months while reaping the benefits of an RPA program that automates activities on the platform that is being upgraded. Additionally, innovative RPA solutions are being developed that tackle the limitations of existing RPA solutions. While traditional RPA solutions relied on programming and produced programs that needed significant maintenance effort, RPA vendors are working to improve the state of RPA. 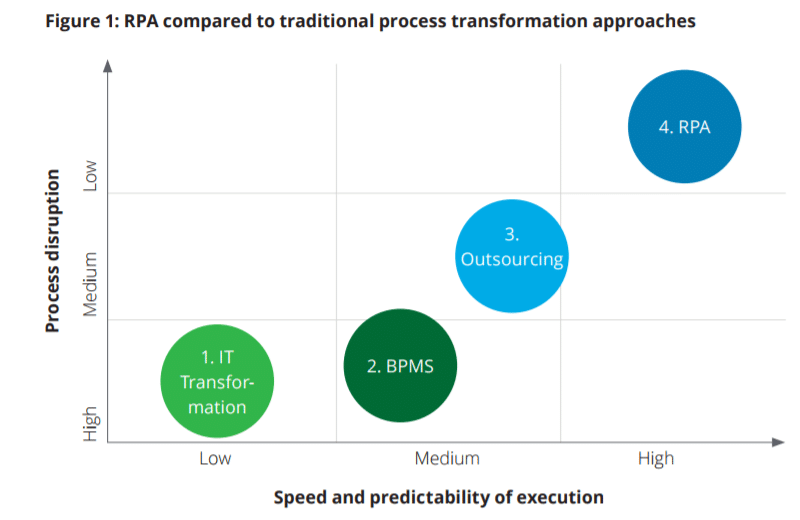 We covered innovative RPA solutions such as no code RPA and self-learning RPA in our future of RPA article.